What will $2,600 rent you in New York City, right now? We've rounded up the latest rental offerings via rental site Zumper to get a sense of what to expect when it comes to locating a rental in New York City if you don't want to spend more than $2,600 / month on rent. Listed at $2,600 / month, this studio apartment is located at 26 Grove St. Amenities offered in the building include on-site laundry, an elevator and on-site management. Pet owners, inquire elsewhere: this spot doesn't allow cats or dogs. In the unit, look for hardwood floors, a dishwasher, high ceilings and large windows. According to Walk Score's assessment, the surrounding area is extremely walkable, is convenient for biking and is a haven for transit riders. Next, there's this one-bedroom, one-bathroom apartment situated at 212 East 85th St. (at E 85th Street & 3rd Avenue). It's also listed for $2,600 / month. In the unit, there are hardwood floors, high ceilings, a dishwasher, a walk-in closet, granite countertops, stainless steel appliances and ample natural light. Luckily for pet owners, both dogs and cats are welcome. 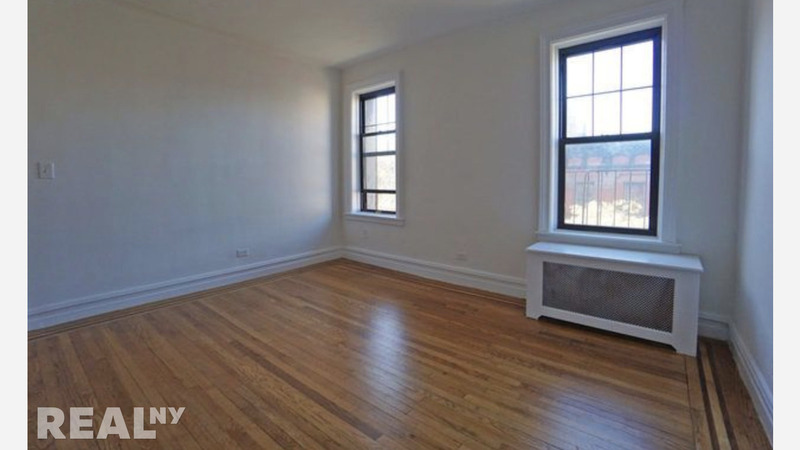 Here's a one-bedroom, one-bathroom listing at 145 W 85th St. that's going for $2,600 / month. In the apartment, you'll get hardwood floors, high ceilings, a walk-in closet, granite countertops and wooden cabinetry. Pet owners, take heed: cats and dogs are allowed. According to Walk Score's assessment, the area around this address has excellent walkability, is convenient for biking and is a haven for transit riders. Next, check out this one-bedroom, one-bathroom apartment that's located at 146 West 76th St. It's listed for $2,600 / month. In the unit, you'll get hardwood floors, high ceilings, a dishwasher, a walk-in closet, a fireplace, garden access, stainless steel appliances, built-in shelves and exposed brick. When it comes to building amenities, expect on-site laundry. Both cats and dogs are permitted. According to Walk Score, the surrounding area is a "walker's paradise," is convenient for biking and is a haven for transit riders. Located at 336 West 77th St., here's a one-bedroom, one-bathroom apartment that's listed for $2,600/ month. Apartment amenities include hardwood floors, high ceilings, a dishwasher, a walk-in closet, large windows and a ceiling fan. Good news for animal lovers: both dogs and cats are welcome here. According to Walk Score, the surrounding area is extremely walkable, is very bikeable and boasts excellent transit options.